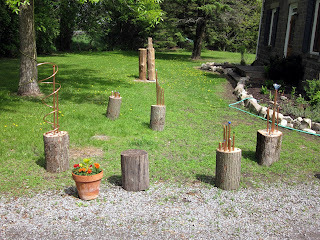 There is one week to go until the vernissage of the new garden sculpture show at the Skelly Gallery in St. Eugene Ontario. This past weekend, I dropped by to see how things were going and if I could help with setting up. Everyone was busy with all the final details. 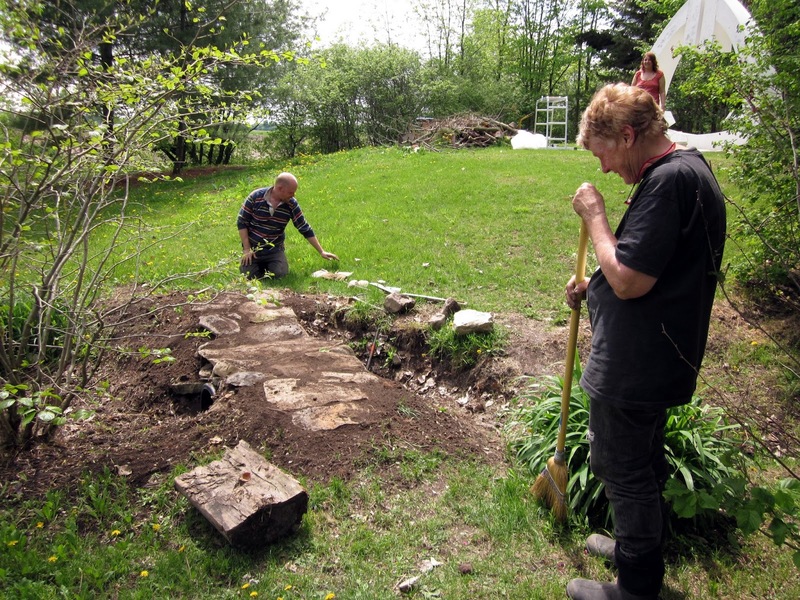 Nik (kneeling) and Lis (on the right) were finishing the installation of a new stone bridge that connects two parts of the garden. Just visible behind Lis' head, you can see Philippa near my contribution to the show - Peter's large white sculpture called the "Homage". Most of the sculptures were already installed and I enjoyed a sneak peak at them. This piece is a lot of fun! 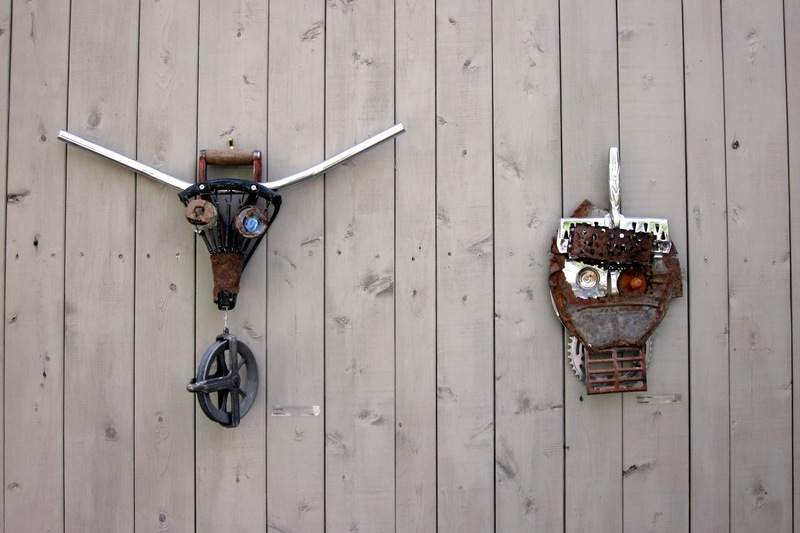 There were visual delights everywhere - like the mix of natural and man-made materials in this installation. 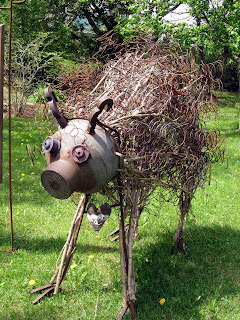 I really like the sculptures that use found materials. These pieces are on an outside wall of the gallery. 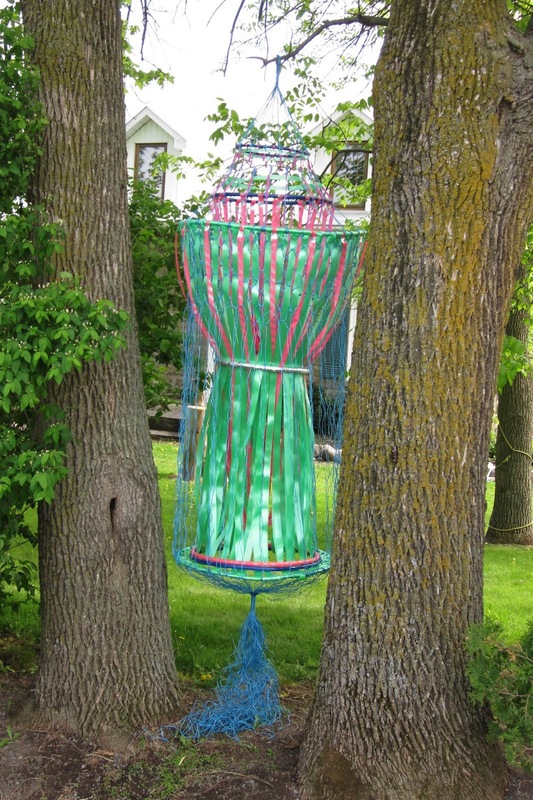 Later, when I was in my car about to leave, I suddenly saw this brightly coloured piece installed between two trees. I had to get out and take a picture. Lovely! This is just a taste of what can be seen starting next week. 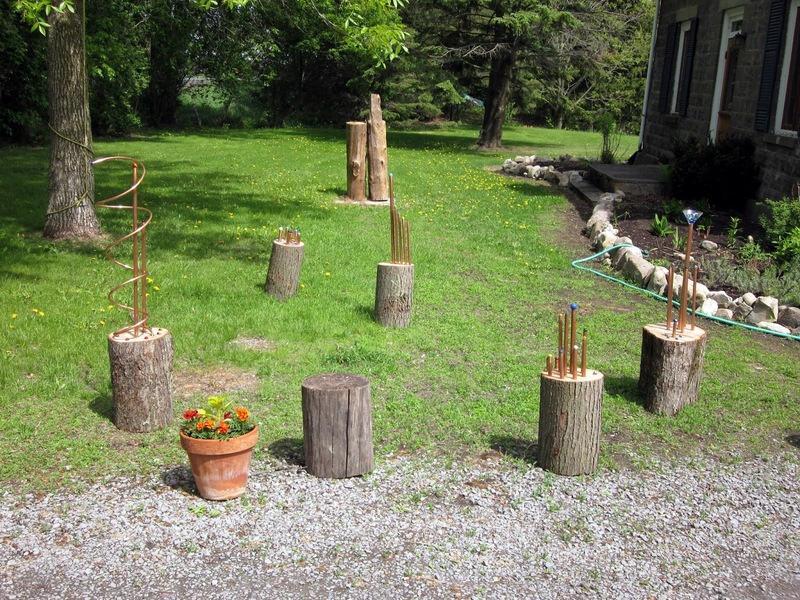 There are 20 artists in the vernissage - 17 who will have pieces outside in the garden and 3 who will have pieces inside the gallery. 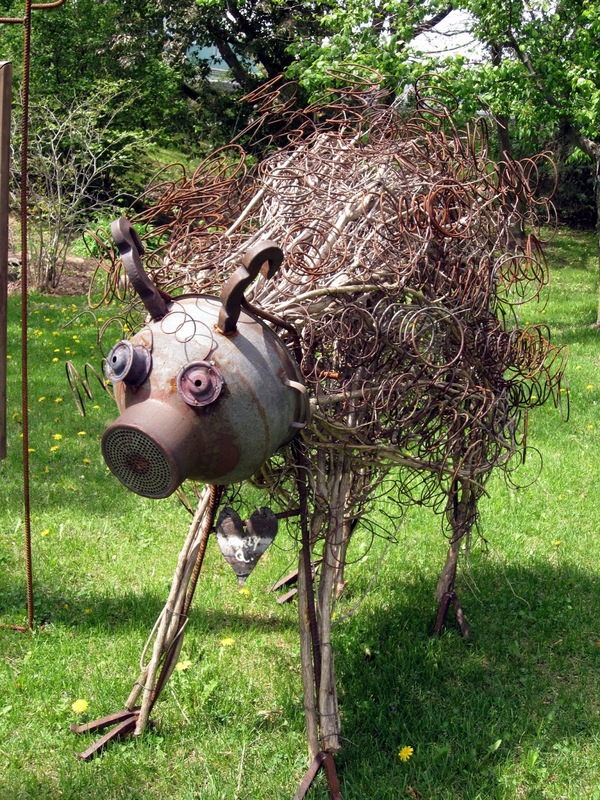 The garden sculpture show runs from May 26th until October 31. Hope to see you there!